So, we are back with our 2nd instalment of videos, it has taken a while for the filming and editing but we are very happy with the results and I'm sure you'll find them useful. 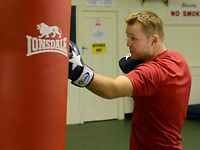 After receiving feedback from our first 'How to Box' videos - Show More where we go through the basics, we have aimed this second set for the beginner/intermediate boxer and the videos are based on common questions that I have been asked in training and online. Even if you are not sparring yet, it is still good to watch and lock the techniques in your memory banks for a future date. 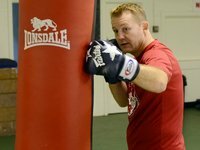 'How to Box' Season 2 kicks off with "How to open up your opponent" with the aim of helping you out when sparring - or even if you are fighting for real. 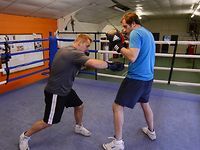 It is all very well backing your opponent up into a corner, but if you are not getting your shots through, and are only hitting arms and gloves, sometimes all you are doing is tiring yourself out. 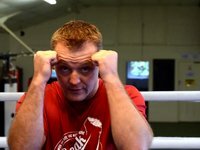 With this video I run through just a few quick and simple boxing techniques that have helped me in the ring over the years. 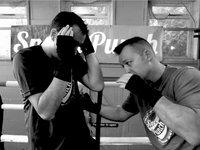 The double tap to the head and then slipping down for the hard body shot is a classic boxing technique, by tapping to the head you can draw your opponents hands up, giving you just that little bit of room, to squeeze in a hard hook to the body. This is all about timing and speed, so make sure you practice, it is a easy move to practice on the bag. 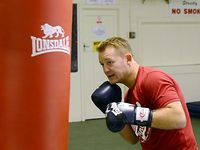 The first 2 punches are literally a distraction, so they really don't need to be that hard, but delivering the hard low hook is all about the slip. The slip lets you wind up the power for this shot, it's also likely that your opponent will throw out his right hand after your taps to the head. By adding the slip into this movement you will avoid incoming punches too. The next technique (also shown on this video) is the pulling down of the guard. This can be a tricky movement to perfect, especially with gloves on, so I quite often get my students to run through it wearing just their wraps first so they get the fluidity correct before trying it with glove on. 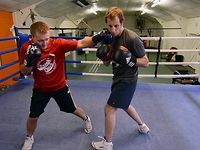 Just follow exactly as shown on the video and remember this technique is all about speed, the quicker you can do it the more likely you will land your punch. If you have any questions on these techniques, just ask and I will be happy to answer. 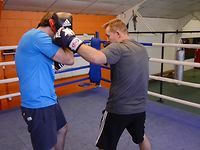 If you have any suggestions for boxing training that you think we should base a future video on, again just put it in the comments below and you never know it might be the next video we post.